It has been three and a half months since my grandmother passed away, from what we are not entirely sure, but what we do know is that she suffered in the end from quite severe dementia. Though she couldn’t remember the names, or to whom they belonged, of her 14 great-grandchildren, at times the names of her 6 grandchildren and even, on bad days, who her daughter was, but when I would call my Abuela from London, she always knew instantaneously who it was. The holidays were her favourite time, and on Christmas Day they would drive her to my mother’s where I would meet her in the drive to assist her out of the car. I would then lead her to the sitting room where she would pat her hand on the seat next to her, encouraging me to join her. She would then sit there as her many family members would pour in the door, awaiting their hugs and kisses, Christmas wishes and a Happy Anniversary. Yes, that’s right, my grandmother was married on Christmas Day and this year would have been her 75th wedding anniversary. She always said it was her favourite time of year; the decorations, the traditions and festivities, the food, and of course the family. We are very lucky to have so many members of our family and no one is short of love and/or care. But many in the world are not as blessed and that is why we here, at Harley Street Care, work to provide the most passionate and quality care we can. 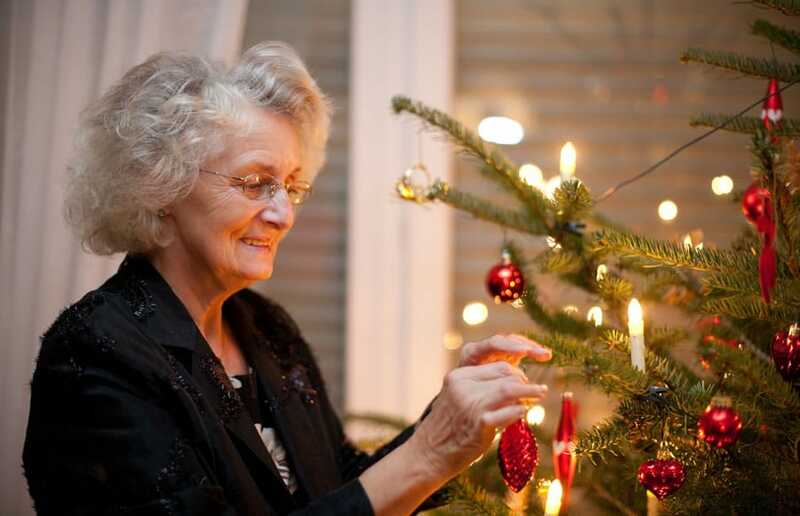 The holidays can be tough for those suffering from dementia. I spoke with my mother (who was the primary care giver for my grandmother) and asked her a few questions, for the sake of passing on her knowledge and experience to our Harley Street Care members dealing with that of which my mother endured for almost 10 years. Could robot pets help tackle loneliness?